Our firm operates on a CONTINGENCY FEE for personal injury cases which means YOU ONLY PAY US IF YOU WIN! We have recovered millions of dollars for our clients who were seriously injured. You have a legal right to compensation for your damages. Bryan Daley has fought for the people of Kentucky for over 20 years. Our firm specializes in personal injury cases such as automobile accidents and tractor trailer accidents, fighting the big insurance companies for you. We also provide legal support for our clients who have endured dog bites, airplane crashes, and nursing home neglect or abuse. If you have been injured in an automobile accident, believe someone you love has suffered nursing home neglect, or have bankruptcy questions, call Bryan Daley today at (859) 233-7400. We are DETERMINED to achieve the BEST RESULT for our clients using the latest accident reconstruction and investigative technology. We seek to recover for you: money for your pain and suffering and emotional distress, medical expenses, lost wages and future loss of earning capacity, loss of the enjoyment of your or your loved one’s life, punitive damages, and other damages that you may be entitled to receive. The lawyer you choose makes a difference. Our law firm prides itself of making each client a priority with open communications while we fight for you. A native of Dallas, Texas, Bryan Daley graduated from Southern Methodist University. In 1998, he received a Juris Doctorate degree in law from Marquette University in Milwaukee, Wisconsin. Bryan relocated to Lexington after graduating from law school to work with the law firm of Wilson & McQueen from 1998 to 2002. Bryan specialized in personal injury and bankruptcy cases. In 2002, Mr. Daley opened his own law practice, the Bryan Daley Law Firm. 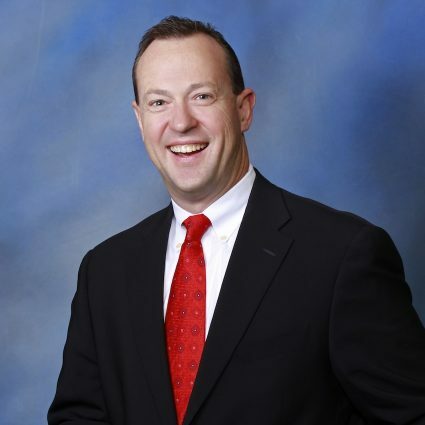 Bryan has kept his focus on representing clients for their personal injury cases and bankruptcy cases. Bryan is passionate about fighting for his clients to recover the money they deserve after a car wreck or nursing home neglect. Mr. Daley also carries twenty years of experience in bankruptcy cases, navigating the intricacies of bankruptcy laws. Bryan serves and volunteers at Lexington City Church. He and his wife, Shari Beth, have two daughters, Sophie and Eli Mae. In his spare time, Bryan enjoys snow skiing, going to the movies, and playing soccer with his children. A native of Albion, Michigan, Ann Murray received her Bachelor of Arts degree in Art History from Alma College. Ann worked in the IT field for thirteen years with EDS/HP in customer service. Ann joined the Bryan Daley Law Firm over five years ago. Outside of work, Ann enjoys home decorating and volunteering at Immanuel Baptist Church. If you or a loved one has been injured, we are here to fight for you with personal service and the utmost confidentiality. It is our job to fight for you against the big insurance companies. We serve the entire Commonwealth of Kentucky for personal injury cases. We currently serve the following counties for bankruptcy cases: Bath, Bourbon, Boyle, Breathitt, Clark, Estill, Fayette, Fleming, Garrard, Harrison, Jessamine, Lee, Lincoln, Madison, Menifee, Mercer, Montgomery, Nicholas, Powell, Scott, Wolfe, and Woodford. For a FREE Consultation, call (859) 233-7400 today or contact us below. Confidential settlement amount in a car accident case that unfortunately involved a death. Confidential settlement amount in a motor vehicle that occurred with an 18 wheeler semi truck. Confidential settlement in a case involving a motor vehicle accident. Obtained over $325,000 for a client involved in a motor vehicle collision. Obtained $125,000 for a car accident settlement. Obtained $100,000 for someone involved in a car accident. Obtained over $100,000 for the victim of a dog bite. Obtained over $100,000 for a case against a nursing home. Obtained over $80,000 for a person that fell in a restaurant. As co-counsel with another attorney, we obtained a recovery of $978,137 for our client in an employment discrimination case. This case was tried at the Courthouse and then appealed all the way to Kentucky Supreme Court. If you need an accident attorney who really wants to help you, Bryan Daley is definitely on your side. If I needed an attorney again, I would definitely hire him. Bryan's representation for my car accident case exceeded my expectations. He stayed on top of my case and communicated the progress in an effective and professional manner. Bryan Daley got me a great settlement on my case. I wouldn't have had a better lawyer to deal with. He was on top of things and got it done fast! Bryan's services are wonderful. He worked hard for our case, returned our calls very quickly. I would recommend Bryan for everyone. Bryan fought for me. There were times I wanted to settle but he helped me stay in there and I thank him for it. Just listen to him and weigh his advice. He's always doing what's best for you and your case. Bryan was great to work with, very knowledgeable and professional. I would recommend him to anyone dealing with bodily injuries. Contact us today for a FREE, no obligation personal meeting with an experienced, dedicated attorney.